Dr. Donaire joined our practice in August 2014. He completed the Bariatric and Advanced Gastrointestinal Minimally Invasive Surgery Fellowship at the State University of New York Health Science Center in Brooklyn, NY. 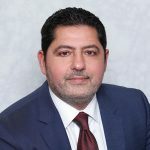 Having earned his medical degree at St. George’s University, he completed his internship at St. Vincent’s Hospital and Medical Center of Manhattan and residency in general surgery at New York Medical College at Westchester Medical Center. 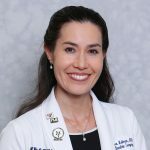 Dr. Donaire specializes in laparoscopic Roux-en-Y gastric bypass, laparoscopic sleeve gastrectomy, and laparoscopic gastric banding, as well as other advanced minimally invasive and general surgery procedures. With a Master of Public Health background, his philosophy on comprehensive care supports patients in their journey to a healthier life.